Paulist Fr. Joseph Mahon is a Philadelphia native. 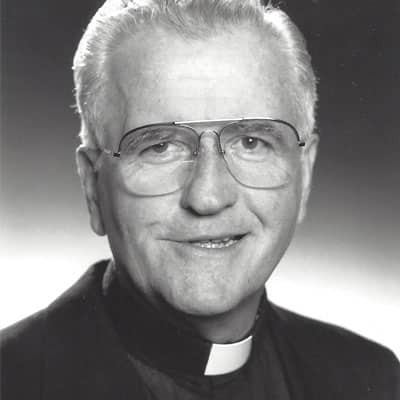 He was ordained to the priesthood on May 3, 1956, one of 17 men ordained that day by the Archdiocese of New York's Cardinal Francis Spellman at our mother church, the Church of Saint Paul The Apostle in New York. It was the largest ordination class thus far in our community's history. Fr. Mahon has spent nearly all of his priesthood traveling the country as part of our "preaching apostolate," presenting retreats, parish missions and workshops. Fr. Mahon, 88, resides at the Mary Manning Walsh Home in New York City. 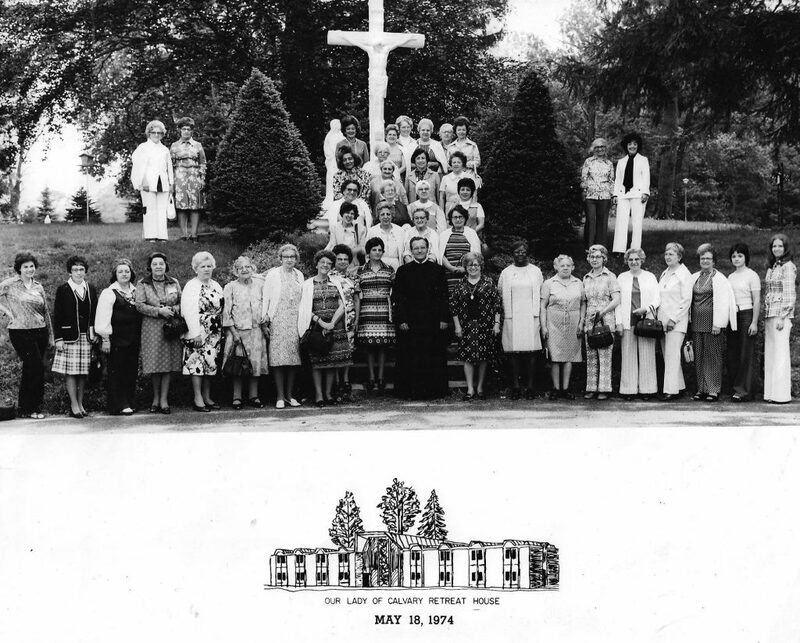 More details on the great "Paulist Class of 1956"
Paulist Fr. 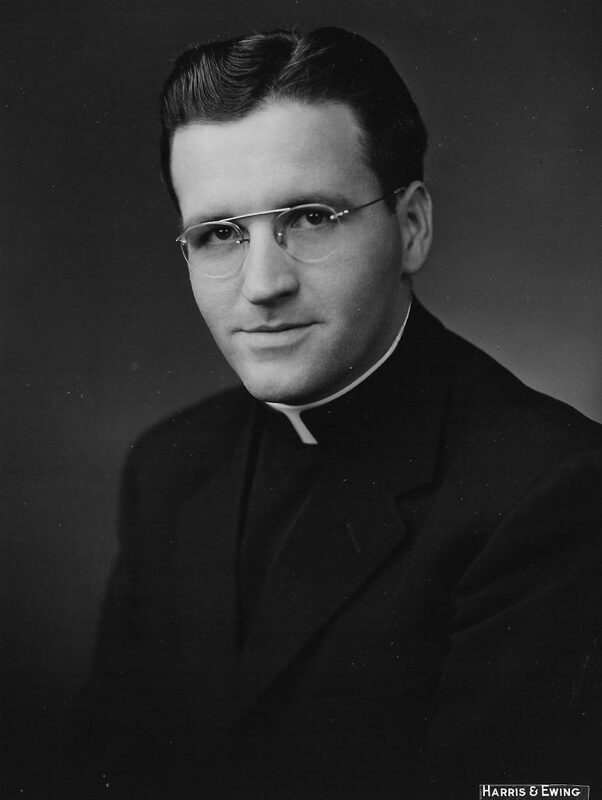 Joseph Mahon around 1956. Photo by Harris & Ewing, Washington, D.C.
Paulist Fr. 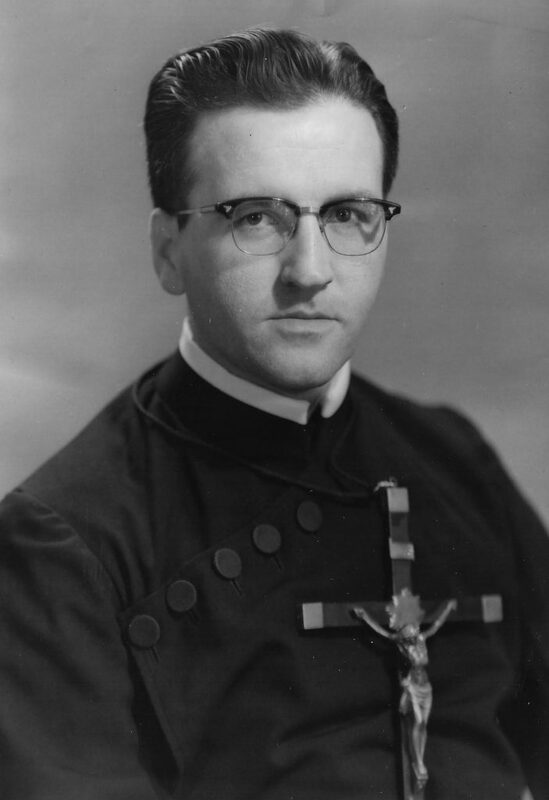 Joseph Mahon wearing the Paulist habit and mission cross in May, 1959. Paulist Fr. 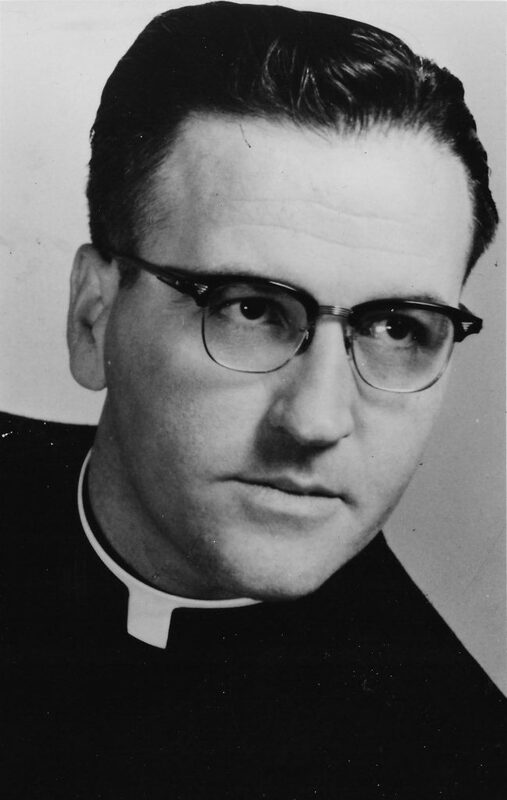 Joseph Mahon around 1961. 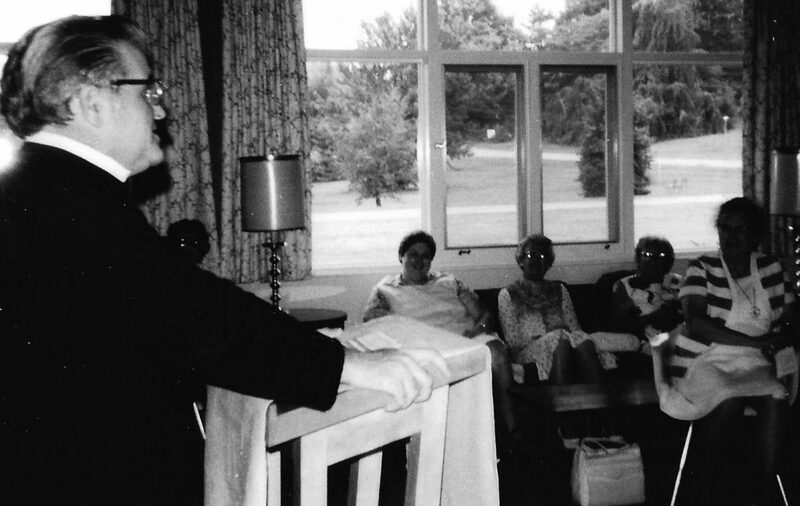 The caption on the reverse of this photo reads: "Father Joseph F. Mahon of the Paulist Preaching Apostolate in New York poses with retreatants at Our Lady of Calvary Retreat House in Farmington, Conn. Father Mahon conducted the retreat May 17 to 19." Paulist Fr. Joseph Mahon at the podium.